Earlier this week, a big Amazon package was sitting on my kitchen table when I got home. I knew exactly what it was. It was a brand new food processor I had just ordered a few days before. My plan was to start making all my own baby food, since my son was almost eight months old, and I was behind in giving him “other foods” (aka anything other than formula). I decided that making homemade baby food would be a good idea in order to save money, and that I would be an accomplished, above-average mom. As I went to a kitchen drawer for scissors to open the package, I felt like I was supposed to be excited about it, but I wasn’t. I knew I wouldn’t be able to successfully do this. I knew I didn’t have all the time, energy, and drive in me in order to make this homemade baby food thing happen. I was defeated before I had even begun. I felt like a failure. As I sat down for my quiet time this morning, my heart was heavy. My many perceived failures were piling up on me. I had a picture in my mind of the kind of woman, wife, and mom I was supposed to be. I was supposed to have a perfectly clean house, a schedule of all of our meals for the next month, and all of our doctors’ appointments lined up for the year. I was supposed to be teacher-of-the-year at my school, go to the gym three times a week, and be up-to-date on all the latest fashions. I was supposed to volunteer in the community, serve in many facets at my church, and even be a leader of a handful of ministries. I was supposed to be an incredibly responsible, respectable, and put-together adult. I was supposed to have an organized purse and be able to create made-from-scratch baby foods. The list was long and my strength was weak. Why couldn’t I be and do all of those things? Why didn’t God put the ability to accomplish these tasks more readily inside of me? I mean, a woman able to do it all is what would please Him and mean success, right? 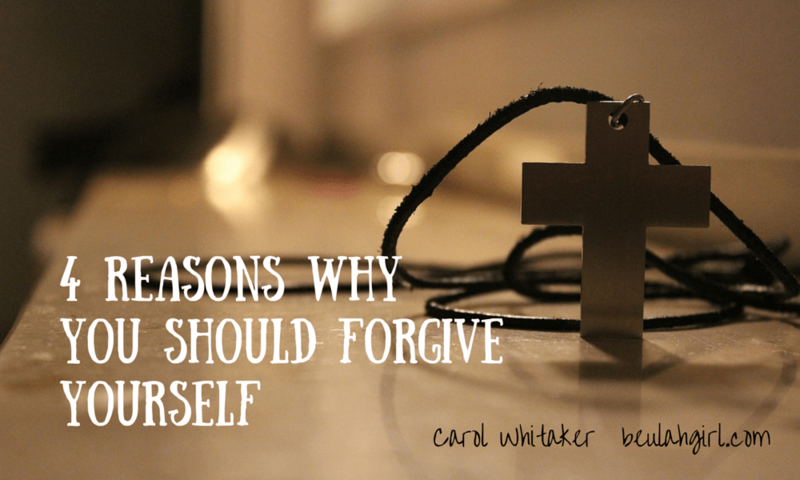 With all of my weaknesses glaring, I cried out to God and realized something. I have been pressuring myself to be someone that I may NEVER be. And that is OK. Even better than that, it’s very possible that I have been wasting time and energy trying to be someone that I was NEVER SUPPOSED to be. You see, as I got caught up in such a long list of to do’s, it was almost as if I was focused on being more like Martha instead of more like Mary. Let’s take a look at the passage to remind ourselves of these two sisters. Martha was focused on many things. She was distracted by them and trying to do, do, do for Jesus. Maybe, in a way, she was trying to be good enough for him. This is the trap that I have found myself in. I long to be a daughter that God is pleased with, and while that is a great thing, I had created all these things in my mind that He must expect from me. Things I thought I must do in order to be worthy of his presence. 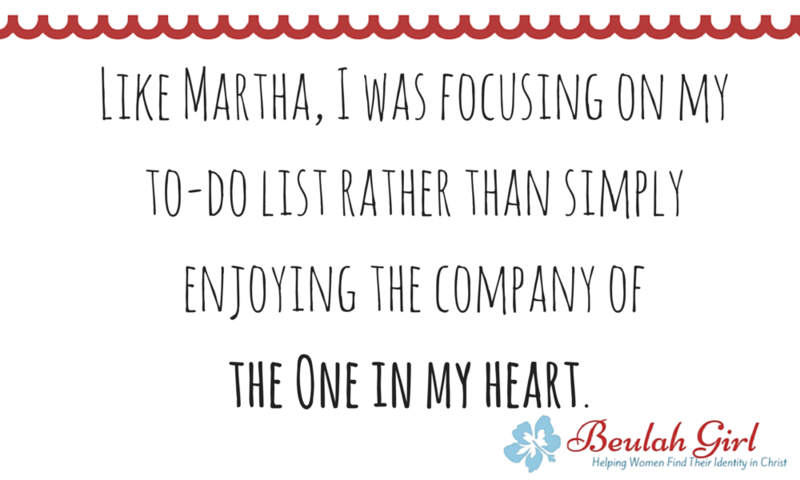 Like Martha, I was focusing on my to-do list rather than simply enjoying the company of the One in my heart. The second problem with me trying to do more for Jesus is that it takes me away from the real truth and beauty of Christianity — to be in a close and personal relationship with God because of what Christ did for me, not what I do for Him. To simply be in awe of who He is and to rest in and enjoy His presence, hear His teaching, and get to know Him more. And the funny thing is, time spent with Him is where I get the strength to do the things that He has called me to. The world teaches us to accomplish as much as we possibly can and to earn our worth and acceptance. To be more like Martha. To work hard, and then we might be “good enough.” But that’s not what Jesus tells us to do. Jesus says for us to pause from our busyness and learn from Him. To believe that “in repentance and rest is our salvation” (Isaiah 30:15). Yes, God has planned things for me to do, and I certainly want to do them. I want to glorify Him with my life, and I don’t want to miss what He has for me. But my hope is that I don’t get caught up in works. That I would not “be anxious and troubled about many things.” That I would be more like Mary and sit at the feet of Jesus. Because resting in His presence will then allow me to clearly see the difference between the works He has called me to and the ones He hasn’t. What about you? Have you become so caught up in trying to please others or meet your own impossible expectations that you haven’t been able to listen to Jesus lately? What is one way you can make time for Him today? Have you ever felt that there was a wall blocking your progress? Yep. I have felt the same way many times the last few years as I have felt walls of every kind impeding my path. If you’ve read my blog for any length of time, you know that I left my job four years ago. I exited the education field because I felt God wanted me to go a new direction into ministry; however, rather than find open doors, I’ve experienced nothing but closed doors. I have felt many times that maybe I didn’t hear God right — that I’ve been on a wild good chase with no end in sight. I’ve had successes here and there, but overall, I have doubted many times that I even heard God tell me I was going to be used in music and women’s ministry. I’ve felt like the Israelites in the story of Exodus when they leave Egypt, but Pharoah, changing his mind on letting them go, comes chasing after them. The Israelites find themselves in a really tight spot — the Red Sea in front of them and Pharaoh’s army behind them. Although my obstacles haven’t been Egyptian soldiers wielding weapons and an actual expanse of water in front of me, my obstacles have been the scorn of others who don’t believe me or accept my journey, the doubt of family members who have actively pulled down my dream of singing, and my own unbelief as I have struggled not to allow my own doubt to completely suffocate the small flicker of a dream I have struggled to keep alive. I’ve had doors open in women’s ministry and music — the two areas I have felt called to serve in, but God has told me distinctly not to walk through those doors. The things I have felt Him tell me to do instead have not yielded (in my estimation) any results, and I have been confused. Just like the Israelites, when I have traveled in the way I believe God has directed me, I have felt surprised to find what has looked like a dead end. 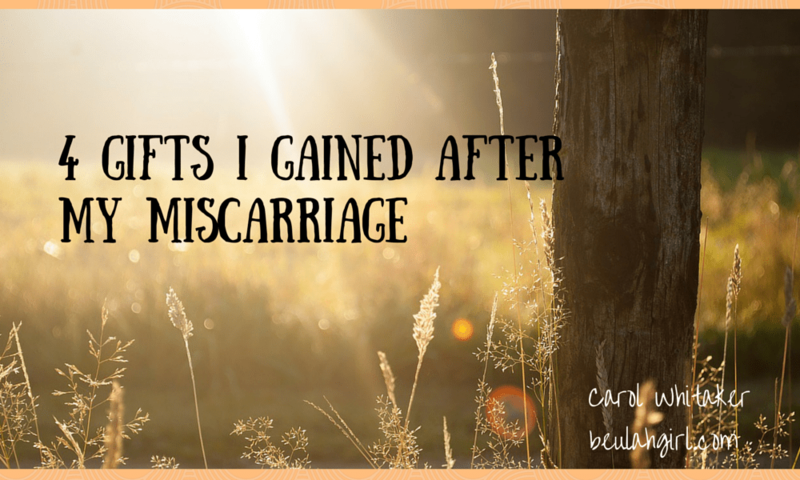 Recently I stumbled into church feeling weighed down by my circumstances, discouraged. Our senior pastor was the speaker that Sunday, and I guessed there was a change of plans in the service when I saw him motion to the campus pastor, whisper in his ear, and then scrawl some notes on a piece of paper in his Bible. Of course, after that sermon, I was actively looking for a deliverance of some kind. My next step in my journey. I did get an answer, but it was not in a way that I was expecting. Some time ago, I started a project to contact many of my former high school classes. After I left teaching and began the path into ministry, I felt God prick my conscience concerning ways I had acted while teaching that weren’t the best. I felt He wanted me to go back to students in my teaching community and tell them the changes He was doing in me. Did I want to do this? Was this a project that made me comfortable? Heck, no! But I felt very strongly that He was leading me in this direction, so I took steps to do this. I worked on contacting classes on and off for a whole year; except recently, I had been praying God would help me to finish the project or tell me if He wanted me to stop. I didn’t know if I was to continue on with all of my classes (a logistical nightmare) or cease from my efforts at the point I was at. That was the question I was pondering when I walked into the church service that day and my senior pastor said he felt that some people were at Red Sea points in their lives. I didn’t know why God would lead me into a strait by telling me to refuse promising opportunities without opening up new ones and allow me to be so misunderstood by those around me. I still don’t. But I did know that there was only one who could deliver me from my circumstances. If He brought me in, He could bring me out. That same day, I was driving to a lacrosse game and heard a woman’s story concerning faith on the local radio station. The woman asked these words: Why put off until tomorrow what you can do today? And I knew God was telling me to send the email. So, I went home and stayed up typing the letter and sent it off. Not too long after my desperate day at church and the contact with my former school, my husband texted me with some startling news — he had received a job offer from a school in a neighboring county. He had interviewed for the job, but when the position went to different candidate, we figured that God had sealed off the opportunity. However, not long after that, he received a different offer for another position at the same school. A position he had not applied for. For whatever reason, something quickened in my spirit when he told me about the opportunity. We discussed the possibility all weekend. We even went down for prayer to make sure it was what God wanted for us — and we both left the altar with the distinct impression that God told him to take the job even though it would mean we would have to move. However, I have to be honest with you. Just like the answer I felt I got from God in needing to contact my former school, the answer in my husband’s job change wasn’t what I wanted or even what I was looking for. These answers had nothing to do with music or my ministry. 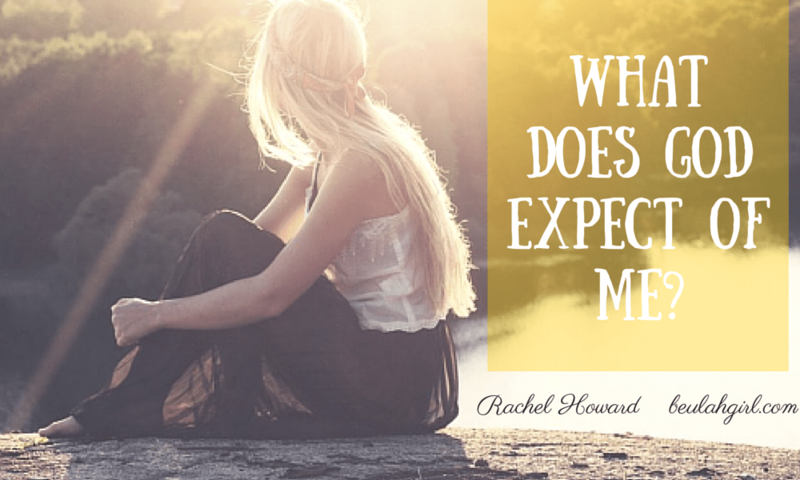 I wanted something to happen right where I was, but God seemed to have a different plan. Though I don’t know for sure if my email and my husband’s job opening were somehow connected, one precipitated the other, I can’t help but think that the urgency I felt to write that email, to get moving on an assignment I would have liked to have put off for another day helped to usher in the start of the parting of the waters for me. What I do know is that obedience brings blessing. Years ago automatic gates were sometimes used on country roads. They would securely block the road as a vehicle approached, and if the traveler stopped before coming to the gate, it would not open. But if the traveler drove straight toward it, the weight of the vehicle would compress the springs below the roadway, and the gate would swing back to let him pass. The vehicle had to keep moving forward, or the gate would remain closed. This illustrates the way to pass through every barrier that blocks the road of service for God. Whether the barrier is a river, a mountain, or a gate, all a child of Jesus must do is head directly toward it. When you are up against a Red Sea in your life and you can’t figure out why God has brought you to that place, your forward motion may begin to move God’s hand to stir up the waves. However, the motion must be God-instructed motion for it to be forward motion. When the Israelites are up against the Red Sea and have nowhere to go, they are still and wait on God at Moses’ command. They don’t rush off and try to make up a plan that isn’t God’s. They quiet themselves to hear God’s instruction. And it comes when God says to Moses, “ ‘Why are you crying out to me? Tell the Israelites to move on. Raise your staff and stretch out your hand over the sea to divide the water so that the Israelites can go through the sea on dry ground’ ”(Exodus 14:15,16). These were simple instructions connected to a mighty miracle. In the same manner, the greatest miracle of salvation happens with simple actions on our part. As the rod of Moses did not actually perform the miracle, so we do not save ourselves with what we do, but we connect with God’s saving miracle. Your obedience is all God asks for — it is He who will ultimately move the waters. 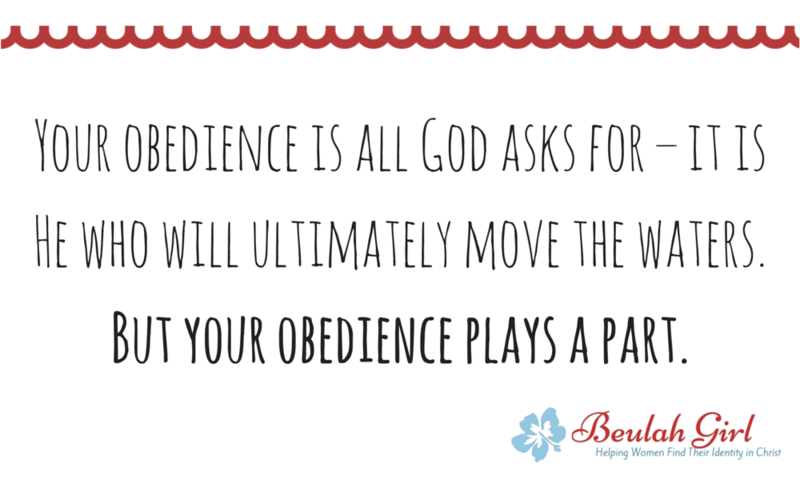 But your obedience plays a part. Like the country gates that only spring open when triggered by a moving vehicle, our acts of faith move God to act. Notice, Moses is instructed to raise his staff, and God does the rest. Moses doesn’t have to worry about fighting off the whole army or making a bridge to span the waterway — God fights his enemies and takes care of all the hard stuff after Moses obeys. I still don’t know how my story in ministry turns out. At this point, unless God inspires me to do more with my school project, I feel God has answered the question I had of Him some time ago about whether or not He wanted me to continue with it. My former administration was not willing to help me in finishing my task of contacting my former classes, but I felt before I sent the email that God told me I was to do it so that I could be finished. I went to the lengths I could to complete what I could. We are working on fixing up our house to put on the market and move out where my husband Keith’s new job is. Our move is another step in the direction of fulfilling the destiny God has promised me. In response to these small acts of faith, I feel that God is pushing back the waters on my behalf and making a path where none existed before. What about you? Are you up against a Red Sea in your life? Ask God if there is a step of faith you can take to move forward through your circumstance. Leave a comment here. I would love to pray for you!